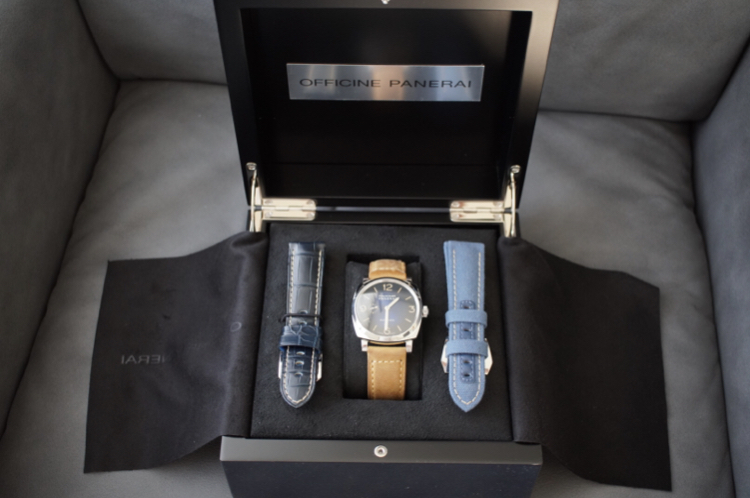 For sale is Panerai PAM00933 Radiomor Boutique Edition. The watch is perfectly running well as it’s time keeping accuracy is excellent. Watch is in excellent condition. Includes full box, papers and original invoice. The two original straps (the Blues) are only worn for 1 day. In addition, I give the brown strap (Aftermarket) with it.